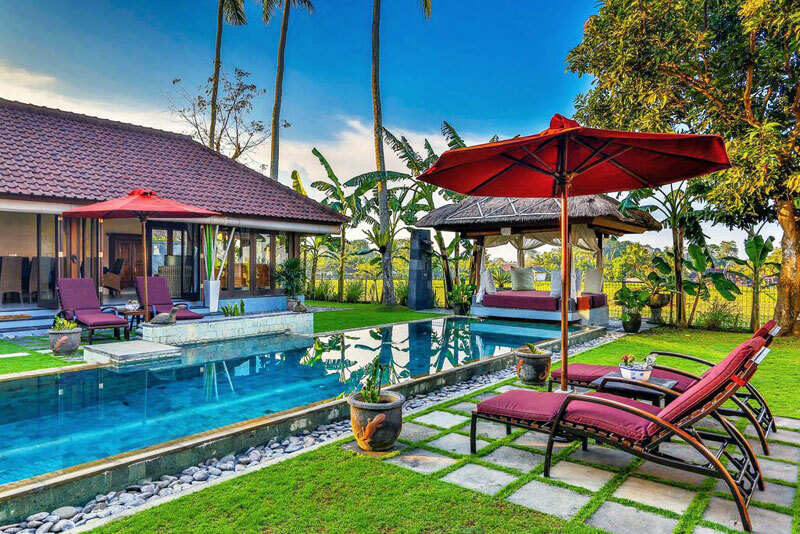 Tired of getting all excited for a gorgeous villa in Bali you’ve found, and then realising that it costs a pretty penny just for a night’s stay there? 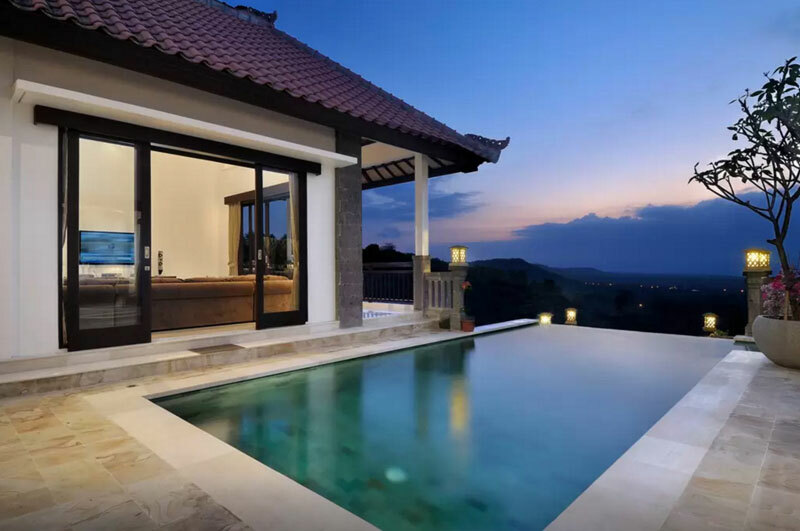 It’s especially so if you’re planning for a trip for your whole family, when the nicest villas can cost up to a few grand per night. What does one do when one wants to live in the lap of luxury, but has a really tiny wallet? 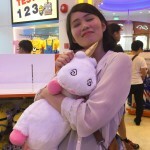 Well, we enjoy the cheap thrills of stumbling onto great finds for a reeeally affordable price. Today, we’re sharing this thrilling feeling with you (are we your best friend or what?!). 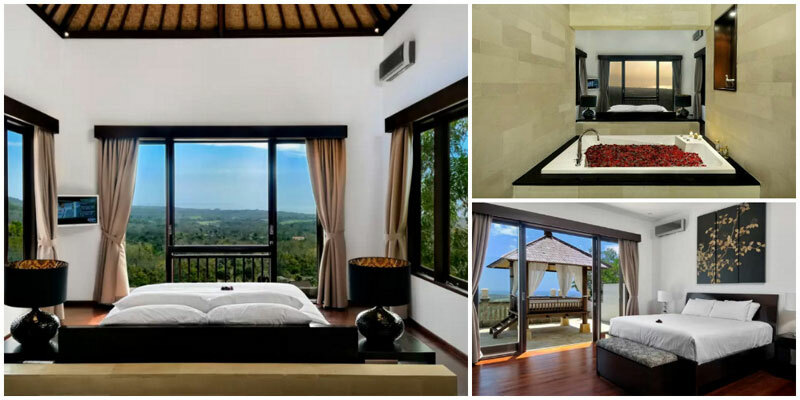 Get awesome views and lots of space at these 4 and 5-bedroom villas that we’ve specially curated – all for under USD $350! 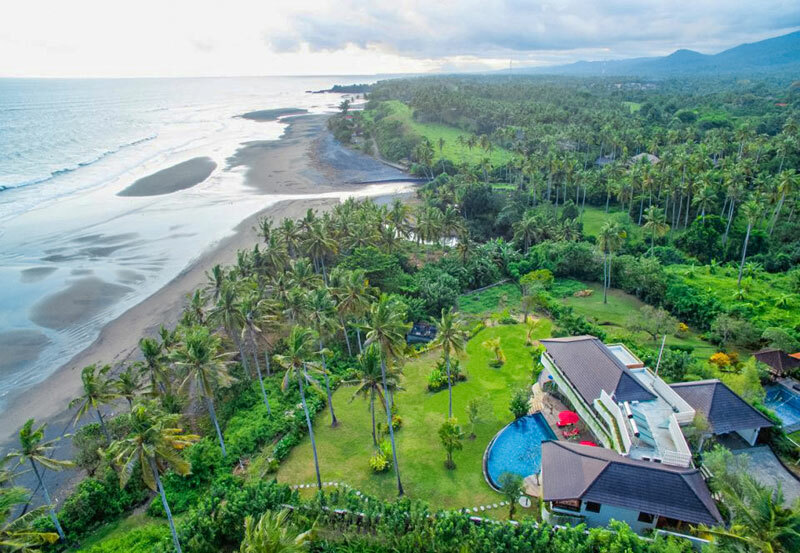 This beach villa in Singaraja, with its modern design and gorgeous views, looks just like it could be the summer home of some hotshot movie star. Well, you’re not a star (or are you? ), but you’ll certainly feel like one here. Enjoy all the space you’ll ever need in the villa’s four bedrooms – and never worry about having to fight for the toilet again (all rooms have their own private toilets). 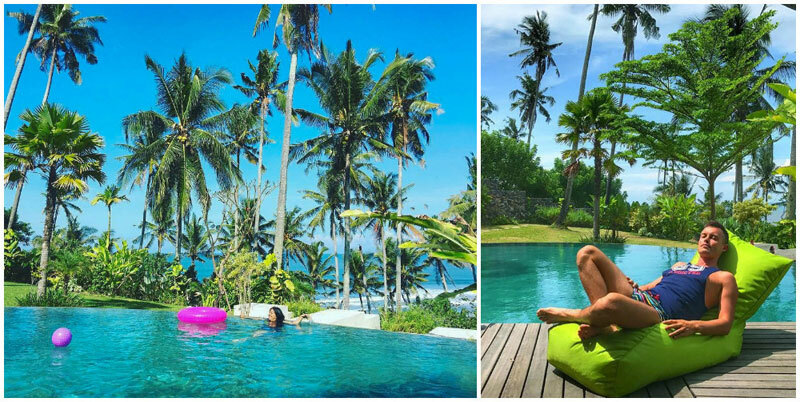 You can also get into some method acting for the role of couch potato, and lounge all day in the L-shaped pool, which is located right on the beach. You’ll even have a jacuzzi, where all your worries and muscle pain will drown in the soothing water. And guess what? 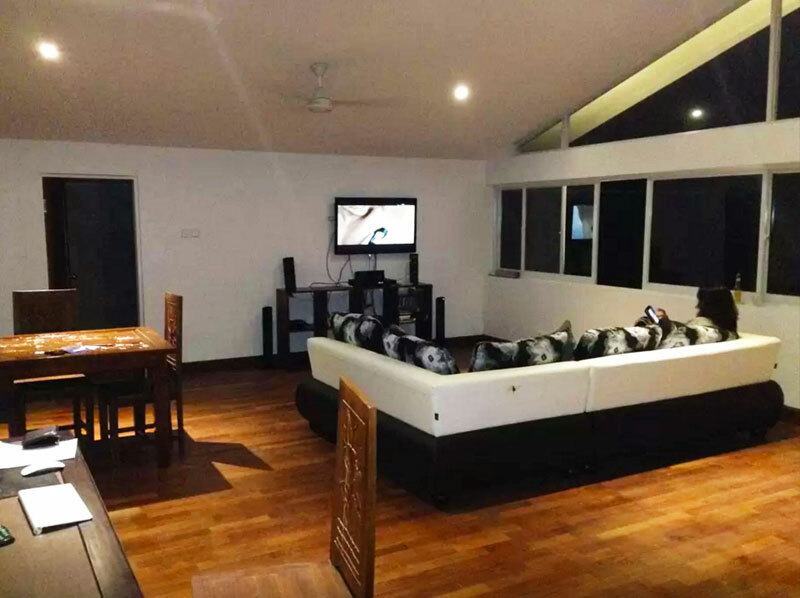 The booking price also includes your very own housekeeper, who’ll cook your dinners for you. Just grab the groceries for whatever you feel like eating, and watch as she cooks up a storm! 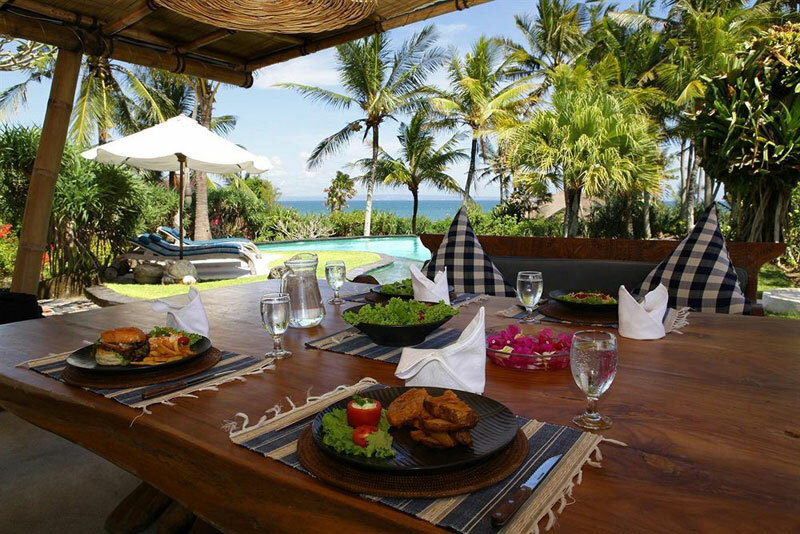 Class, sophistication and magnificent views await at Villa Delmara, located right at Bali’s Balian Beach. 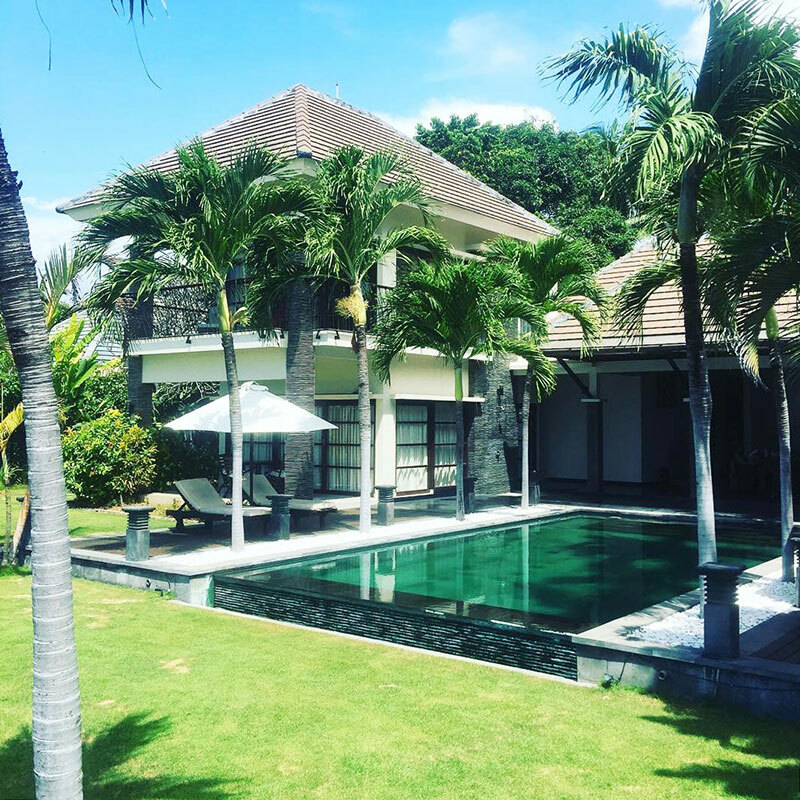 This four-bedroom holiday retreat features a majestic uniquely-designed double-storey villa, a gorgeous free-form infinity pool and a massive garden ruled by endless green lawns and towering coconut palms overlooking the sea. Around the pool, there are deluxe daybeds, beanbags, and reclining chairs where you can soak up the sun. 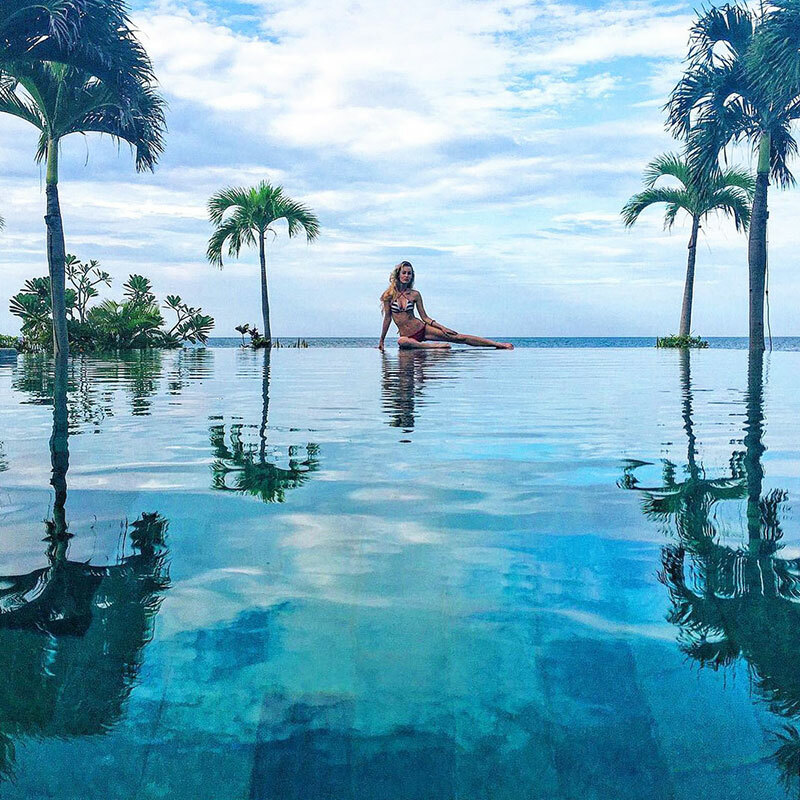 You can enjoy the views of either the ocean or the pool (or even both!) 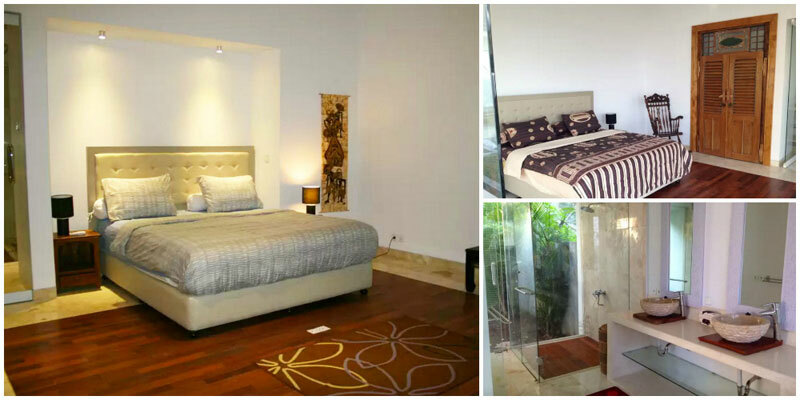 from each of the four bedrooms. 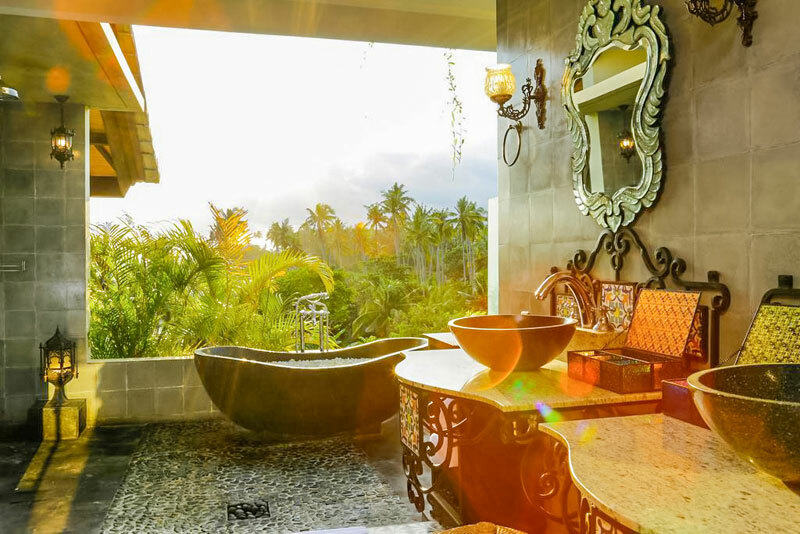 The en-suite bathrooms are fitted with large soaking bathtubs and outdoor showers, embracing the tropical life. 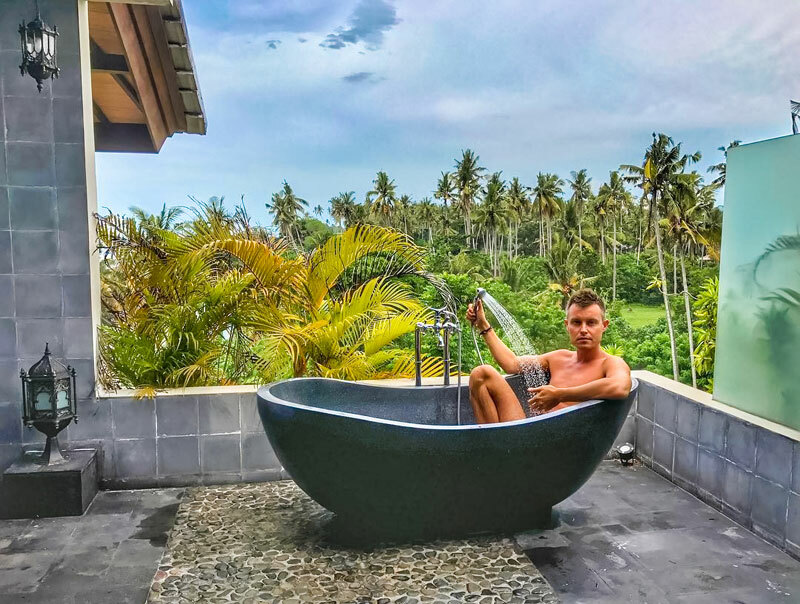 Who wouldn’t want to relax in the bathtub while soaking in this amazing view of Bali? Villa Delmara is a lovely family retreat, away from the hustle and bustle of town and is great value for money. Kids can run around on the lawn, play at the beach and have some unforgettable water fun in the pool. Won’t all these make lovely memories for an unforgettable family holiday? If you grew up watching The Wild Thornberries and love wildlife as much as the eccentric family does, be sure to put Villa Melah on your bucket list! 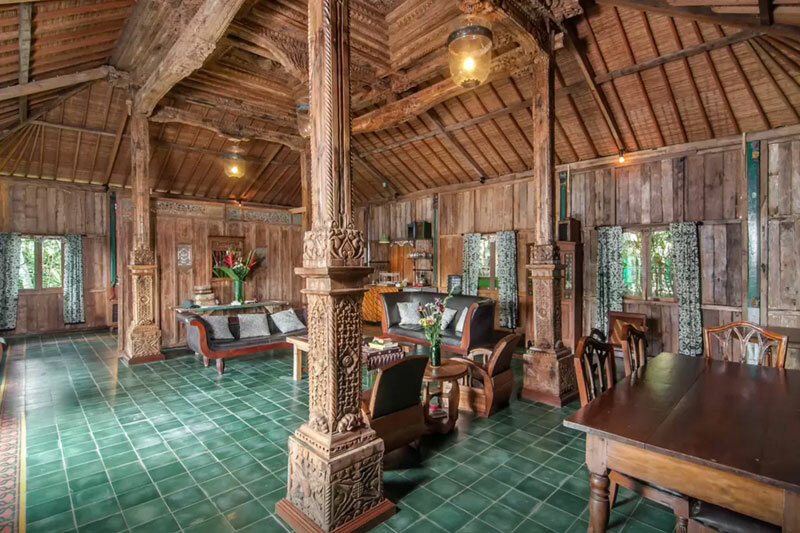 This charming, 150-year-old teak house is located in Melayang, a traditional Balinese village. With a dense forest right at its doorstep, it’s not surprising that this is the prime location for intimate (and generally safe) encounters with wildlife. 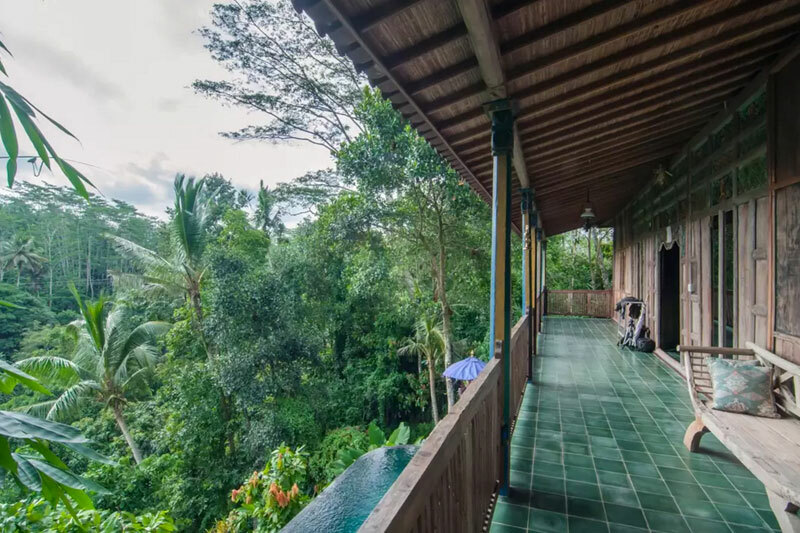 Aside from enjoying the fascinating Dutch colonial designs of the antique furniture in the villa – you can also stretch out on the verandah, and look out for that passing kingfisher or monkey! 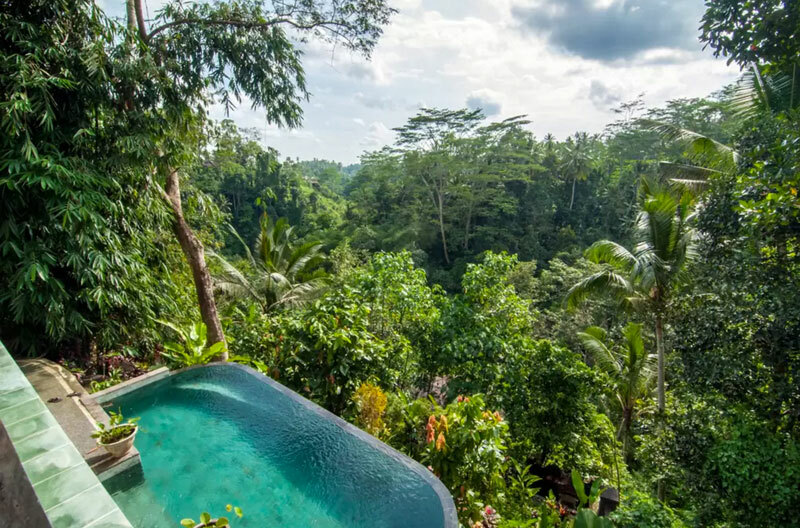 On days when you just want to relax and give your tortured-by-UV-rays eyes some well-needed rest, dip into the cooling infinity pool and look at the greenery that abounds. 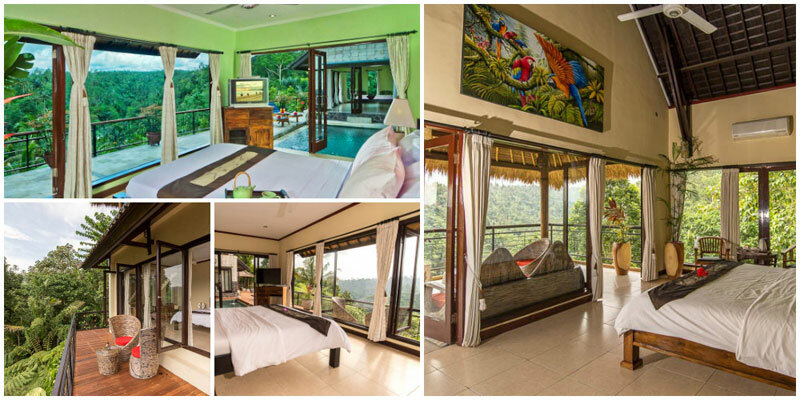 At Hillside Eden Villa, this doesn’t mean you’re going to get arrested. It means you get the luxury of being literally surrounded by nothing but greenery for miles and miles! 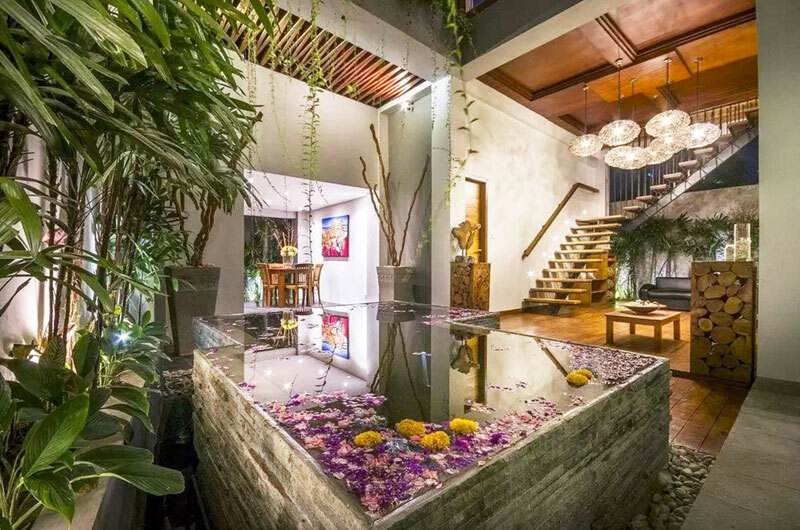 This hidden wonder in Ubud is the perfect choice for the avid gardener, and anyone who loves a good splash of green. 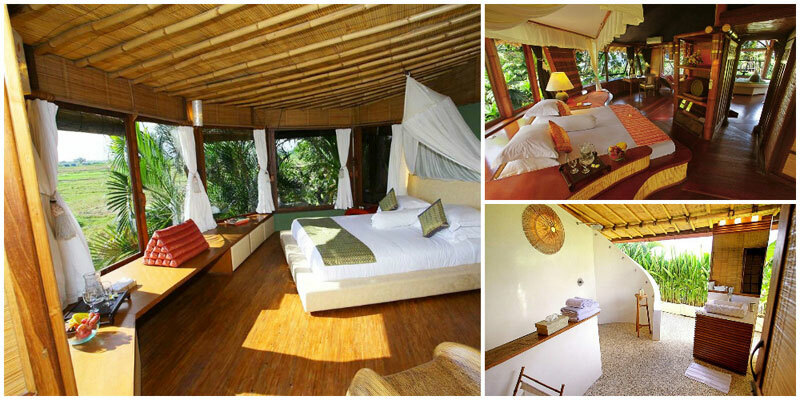 The 60-acre property is wrapped up in the deep jungle, and even has its own Botanical Gardens. Everywhere you turn, you’ll see nothing but views. 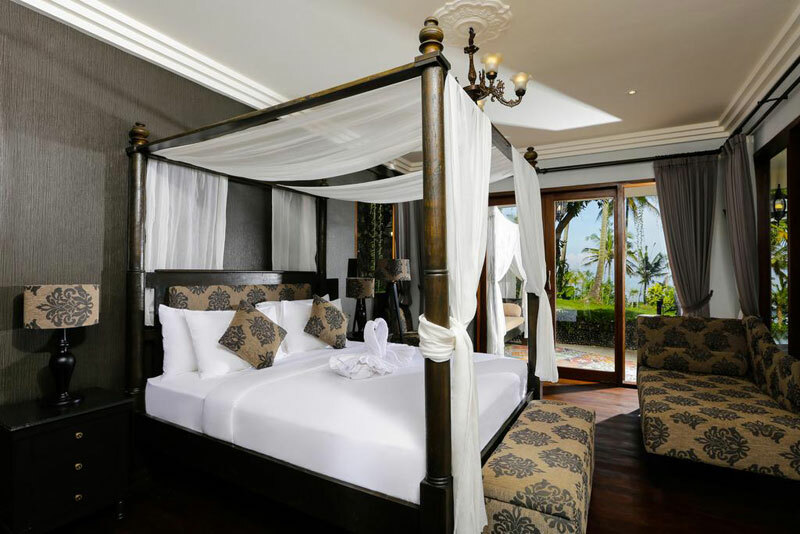 Yes, even in your bedroom, where the huge, private balconies showcase sweeping views of the rainforest and mountains beyond. 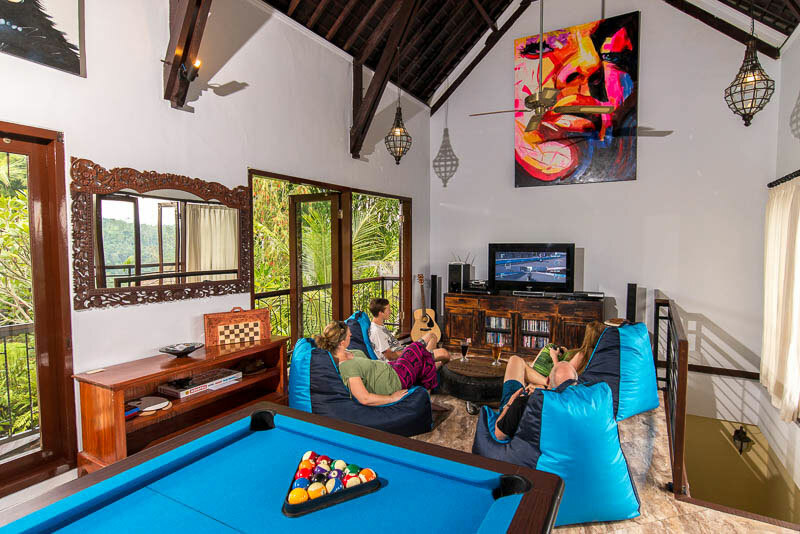 The villa is fitted with a game room, where you can enjoy a round of pool with your family. 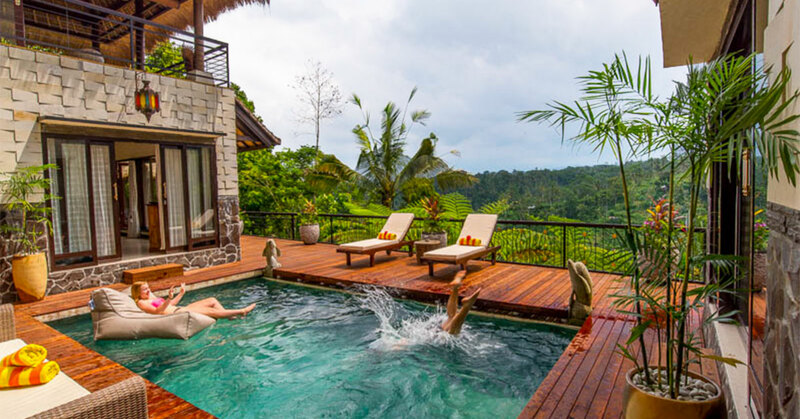 Various tourist hotspots, such as Batur Natural Hot Spring and Gunung Kawi Temple, are also a stone’s throw away – enjoy your own private haven, but never, ever, be bored. 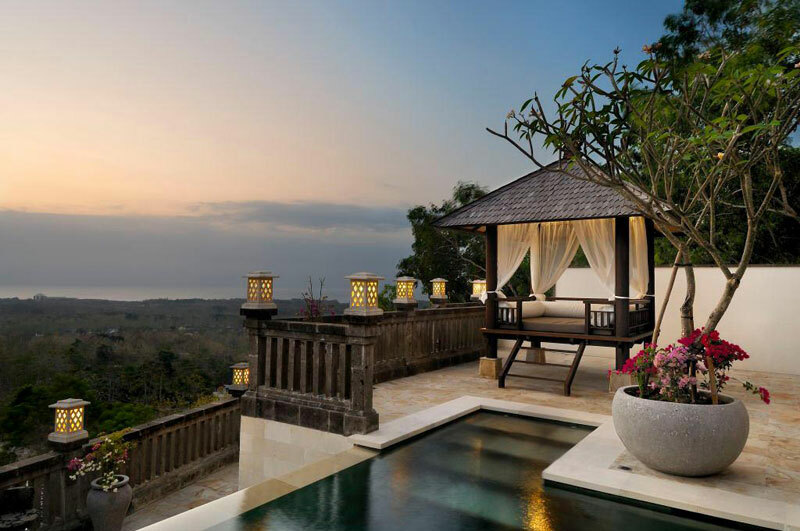 Who needs views when the villa itself is a sight to behold? You no longer have to wreck your brains on which one to choose – at Elmina Villa Bali, you get the best of both worlds. 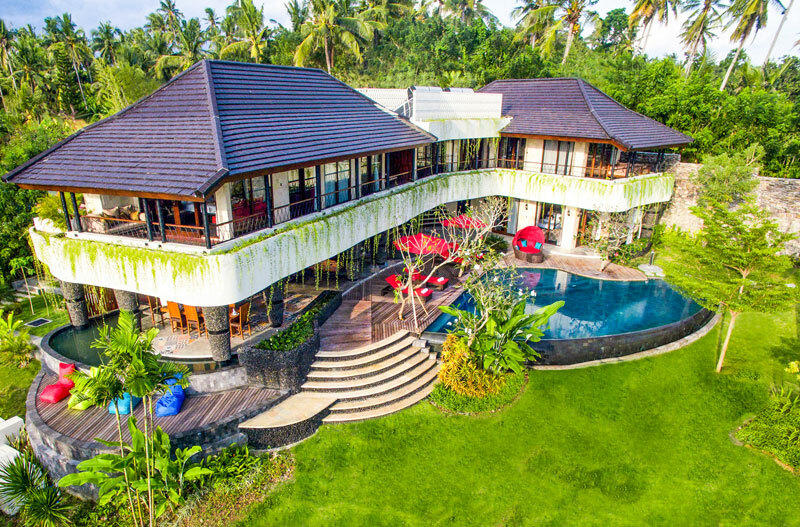 This 4-bedroom villa in Ungasan is nothing short of an architectural wonder. 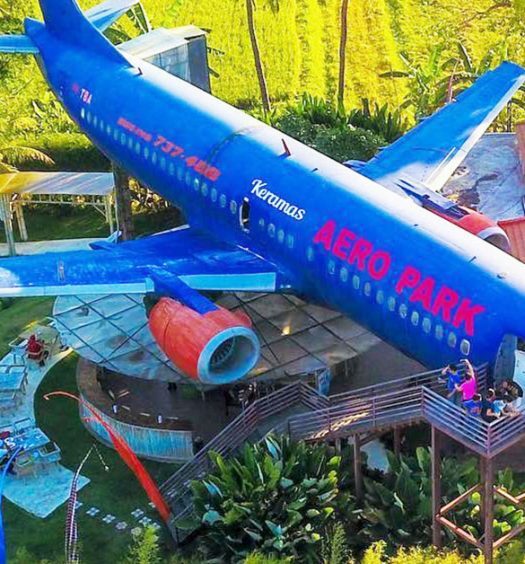 It may not look super impressive from the outside, but once you step in, you’re in for a surprise. 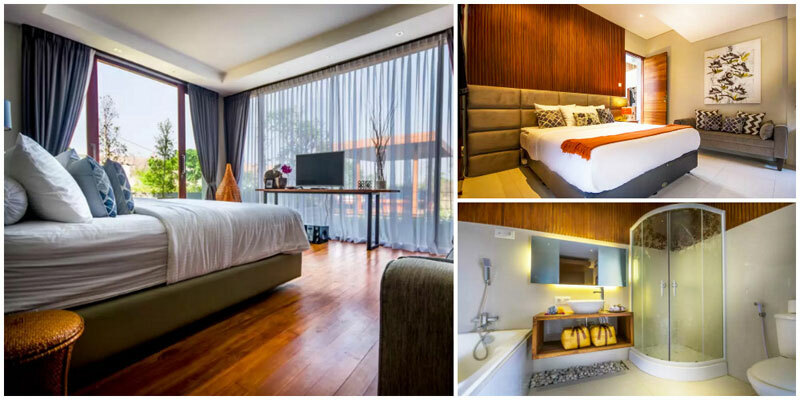 The mix of minimalist furnishing, wood accents and a touch of nature blend together to make your stay here a relaxing and unique experience. We wouldn’t mind feasting our eyes on this villa forever, but it one-ups itself by giving you gorgeous views all the way to the coastline – right from the comfort of your couch! We think we’ve just found our dream home – now all we have to do is win the lottery. 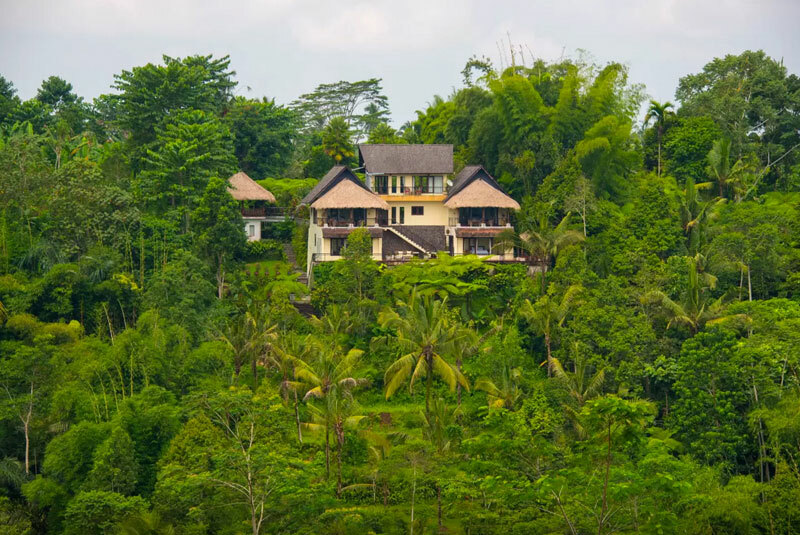 No trip to Bali is complete without getting a glimpse of its renowned rice fields, and at Villa Kaba Kaba Resort, that’s one thing that’s always in abundance. 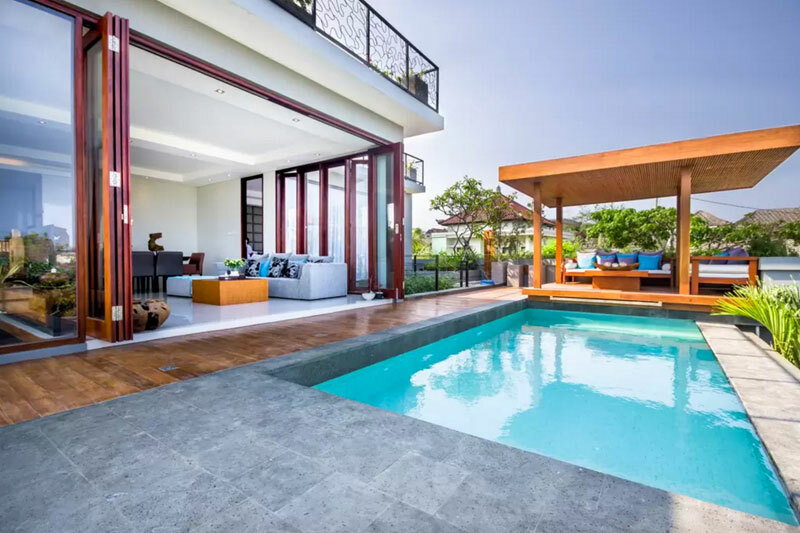 Enjoy some quiet family bonding time at their 4-bedroom villa, which is located 30 minutes away from Seminyak and Kuta – far enough to let you keep your privacy, and close enough to keep things convenient. We doubt you’d want to leave, though. 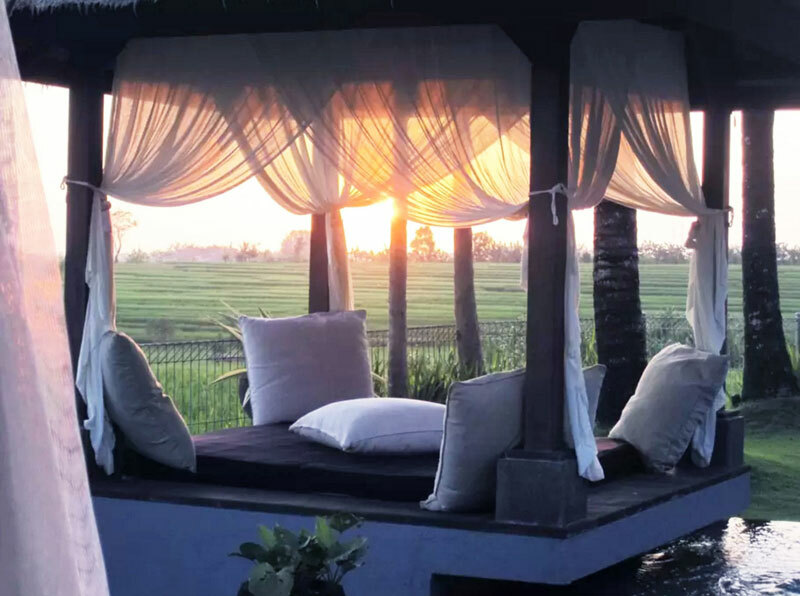 Villa Kaba Kaba is located right next to the rice paddies, so you’ll be able to enjoy the calming view right from your spot in the private pool, or from the sheltered bale. Okay, scratch that. The open-concept of the villa opens up the space to nature, and no matter where you are, you’ll find views if you look for it. 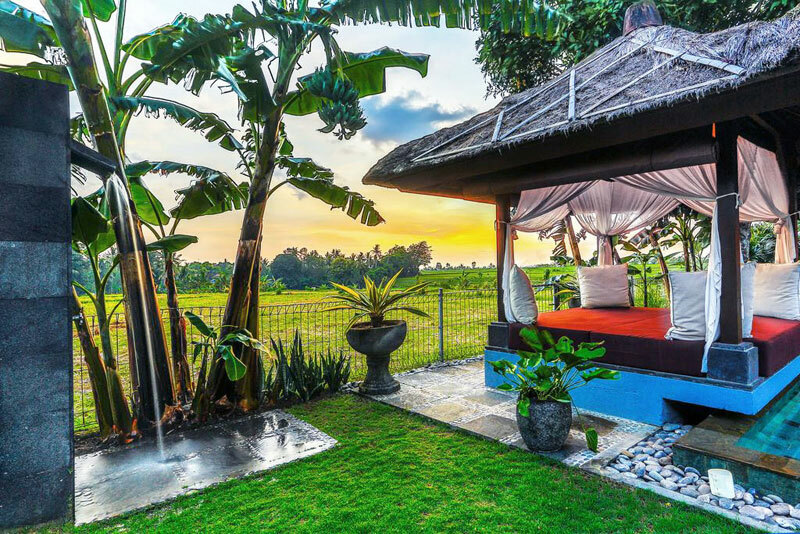 Even your bedrooms face the rice fields, which means that this gorgeous view will be what you wake up to everyday. 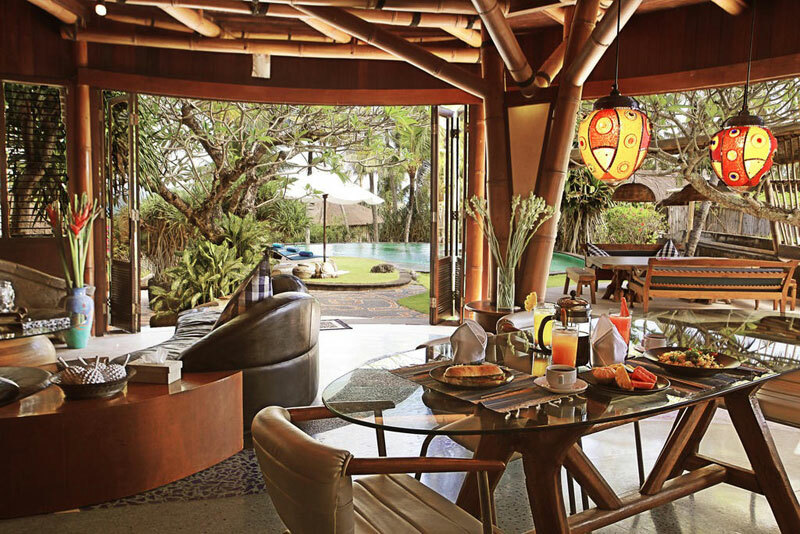 Sejuk Beach Villas’ wooden infrastructure and vintage furniture, will take you back to a time when life was carefree and modern worries were non-existent. 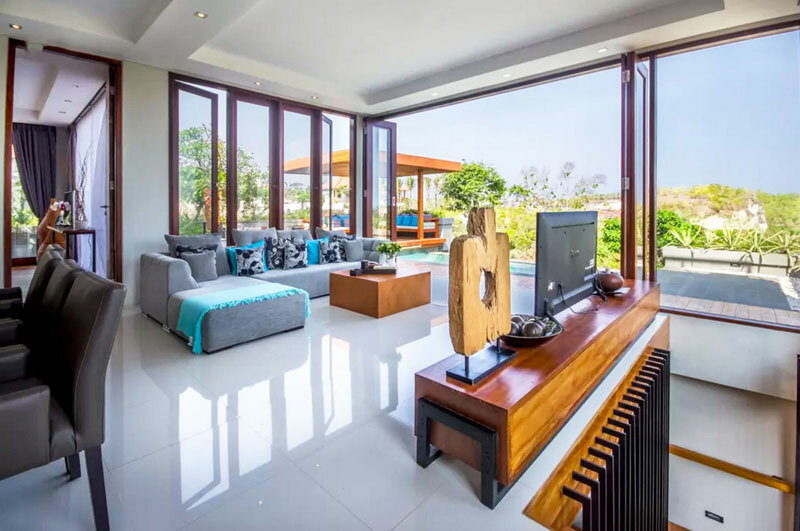 At this beachfront villa, you’ll be able to recharge your tired mind and body, with nothing standing between you and the beauty of the ocean. And that’s not the only view that the villa has to offer! 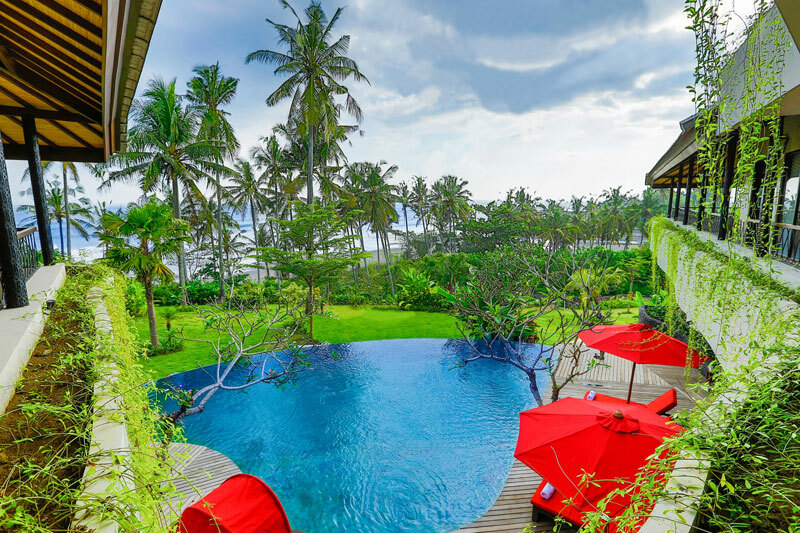 As it is sandwiched between rice terraces and the beach, two vastly different views are available to you at the resort. Crashing blue waves or bright green leaves swaying in the wind? All you have to do is decide. 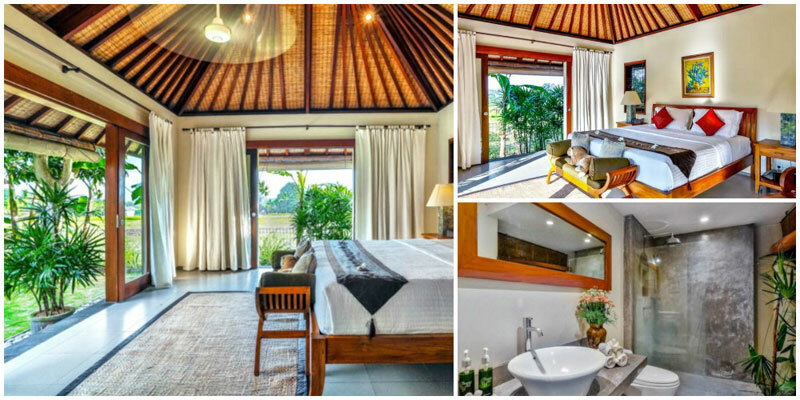 If your aim is to have a short getaway in Bali over the weekend, then Villa Puri Balangan is the perfect choice for you. 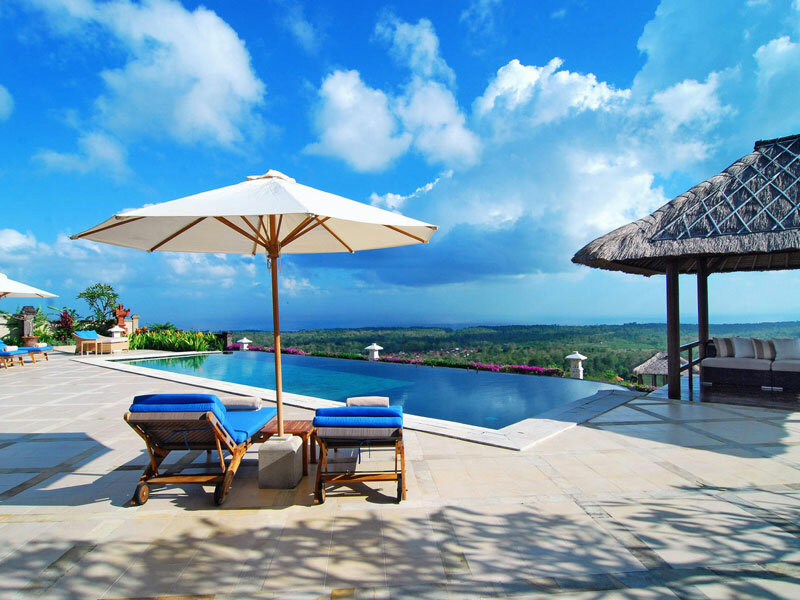 Located a mere 25 minutes away from the airport, this villa offers you the perfect vantage point to explore Bali, without having to travel around excessively. 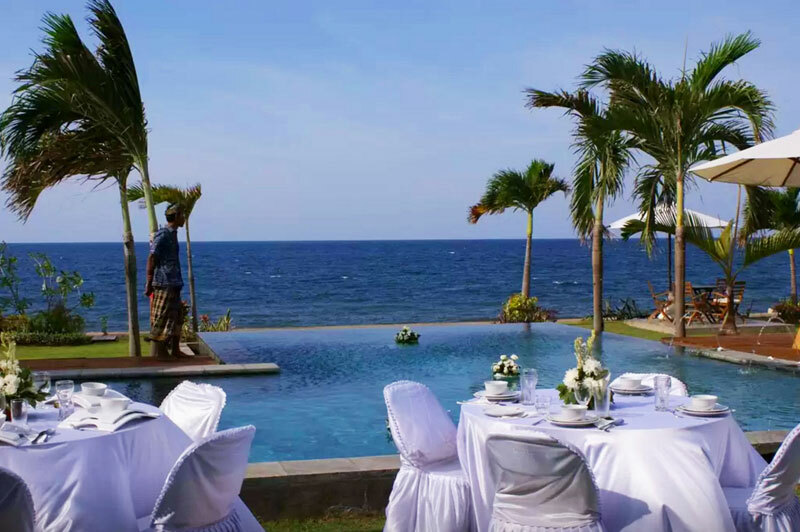 The grounds are also armed with a garden area for BBQ parties, and a perfectly situated seating area for sunset-watching. Honestly, you can have a fulfilling holiday without even stepping out of the estate! 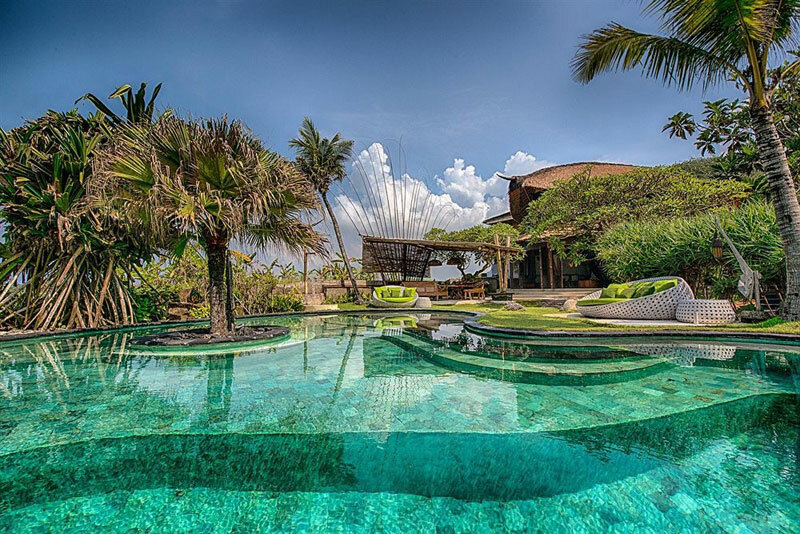 In fact, with an infinity pool so luxurious, we doubt you’ll ever want to come out of the water. Indulge yourself and enjoy the panoramic views of Jimbaran Bay (all the way to the coastline) – just remember to bring an iron to smooth out your wrinkled skin after all that soaking in the water! 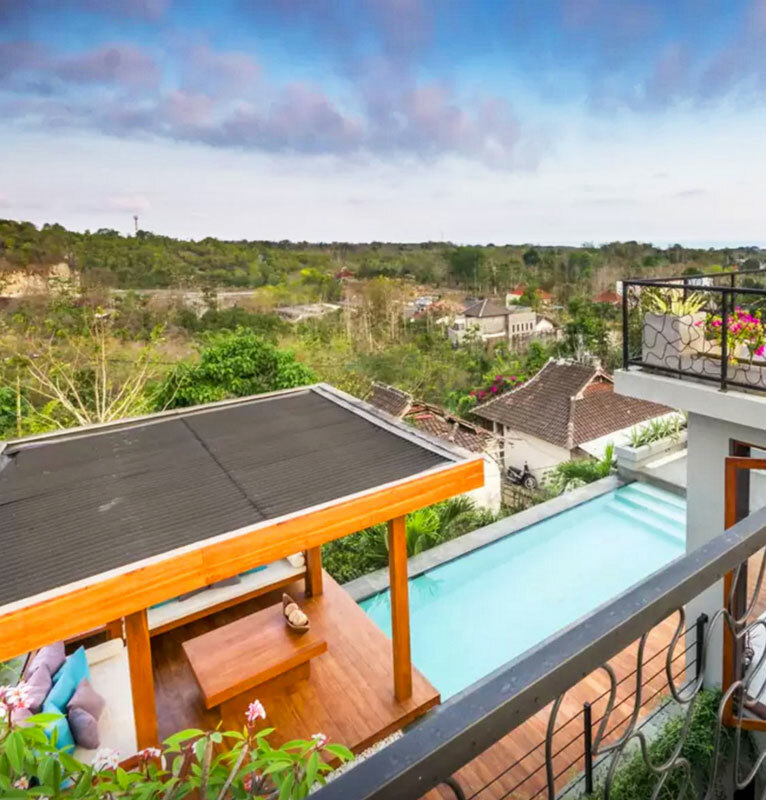 Located high up on a hill in Jimbaran, Villa Leana is a kid-friendly family accommodation that will help you keep your kids sated and happy during your holiday. Sounds like an impossible task? Well, it’s not if you’re here. 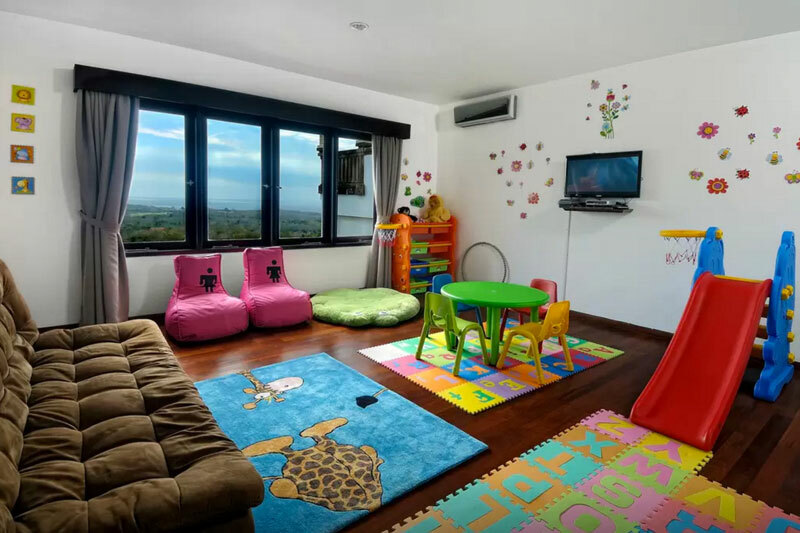 A fully-equipped playroom can be found in this villa, along with a pool fence and on-request babysitting services. Moms can sit back and relax, while knowing that their kids are having fun and safe in the hands of the staff. 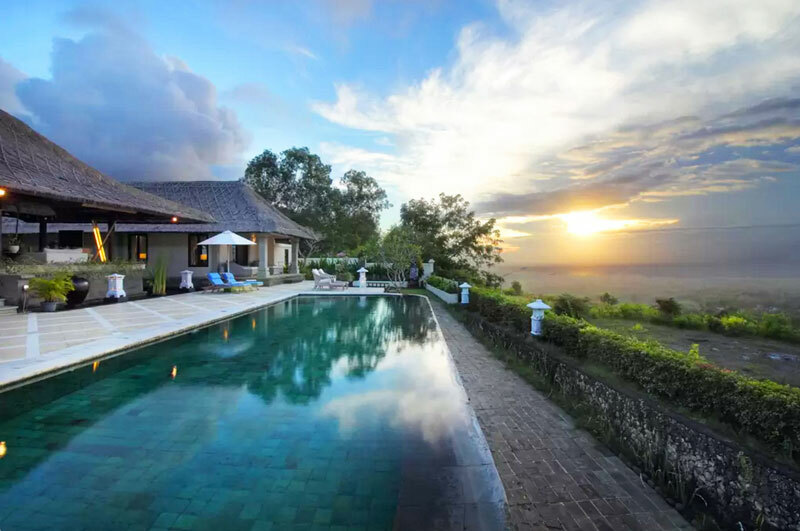 Not to mention the amazing views that are available from the villa’s high position… The infinity pool is a prime spot for some romantic sunset-watching, and panoramic views are also available right from the living room! The master bedroom also comes fitted with a jacuzzi to soothe those tired bones of yours (or for a well-deserved night of romance!). This holiday is for you, the overworked and angsty parent. 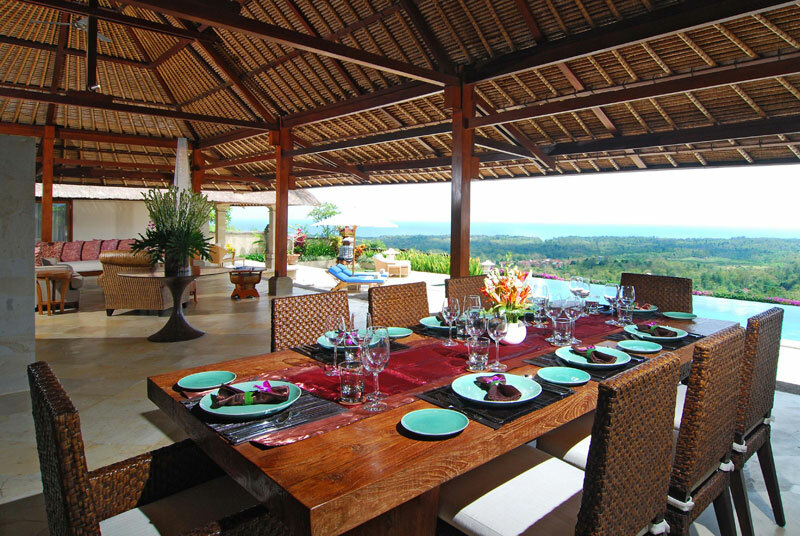 Now you’re ready for that great family adventure complete with incredible views in Bali. We’ve got our binoculars all packed, so we can keep those amazing views in our minds forever, pixel by pixel. Are there any more great villas with a view that we’ve missed? Let us know in the comments below!